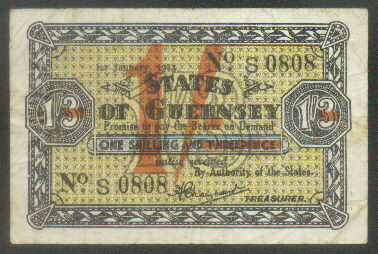 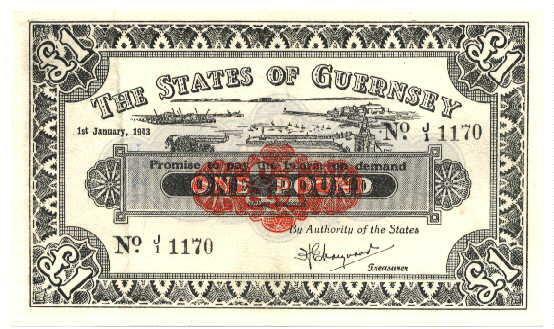 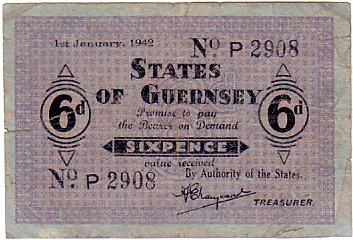 These banknotes were issued in the Island of Guernsey during the German Occupation. 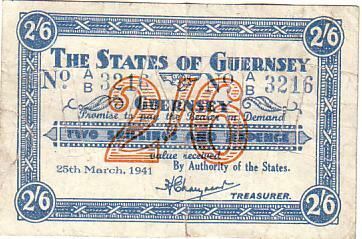 The notes date from 1941. 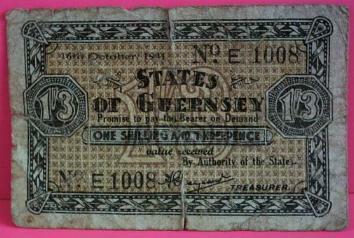 The last one has 1 shilling overstamped on the 1 shilling and 3 pence note.